There are big changes coming to TORONTO’s main street. 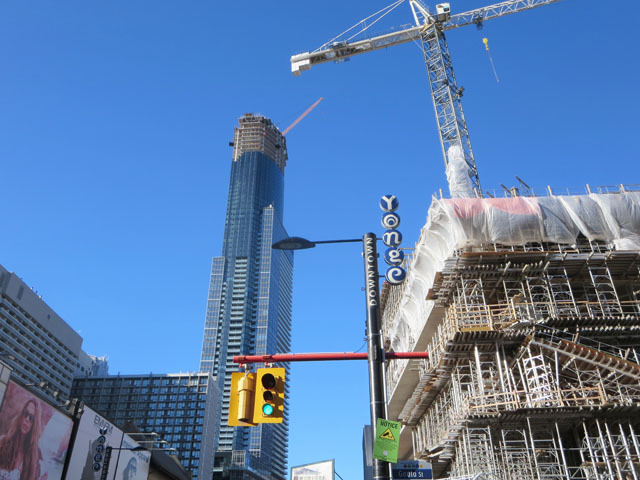 Skyscraper construction on – or just behind – our city’s main drag is booming at multiple Yonge Street intersections – Bloor, St. Mary, St. Joseph, Grenville, Gerrard, Gould, Queen, Adelaide and Front. In most cases the Victorian-era structures remain in the foreground, with taller buildings behind. Canderel, a Montreal-based developer, is finishing work on AURA (78 storeys), and is now promoting another condo at Yonge and Grenville. It’s rumoured that this company has also purchased property on the east side of Yonge at Gerrard Street. 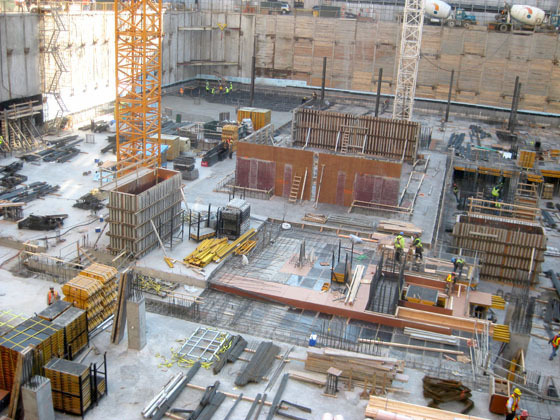 Other large buildings under construction – KARMA at 21 Grenville Street (50 storeys); 1BLOOR EAST (75 storeys) by Great Gulf Homes; the L TOWER at Yonge and Front Streets (57 storeys); and the east office tower of the BAY/ADELAIDE CENTRE on Adelaide Street (44 storeys). 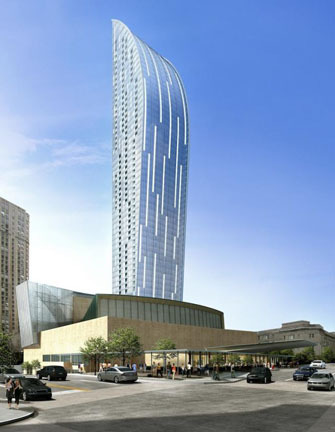 This entry was posted in Development and tagged Canada, new Yonge Street towers, Ontario, Toronto, Yonge Street Toronto goes high-rise. Bookmark the permalink. ← TORONTO SYMPHONY’S GUIDE TO “PROPER CONCERT GOING ETIQUETTE”. B-R-A-V-O!